Just go this following sites: Islamic Calendar 2019. As usual there is also a table that list important dates for muslims in year 2019. 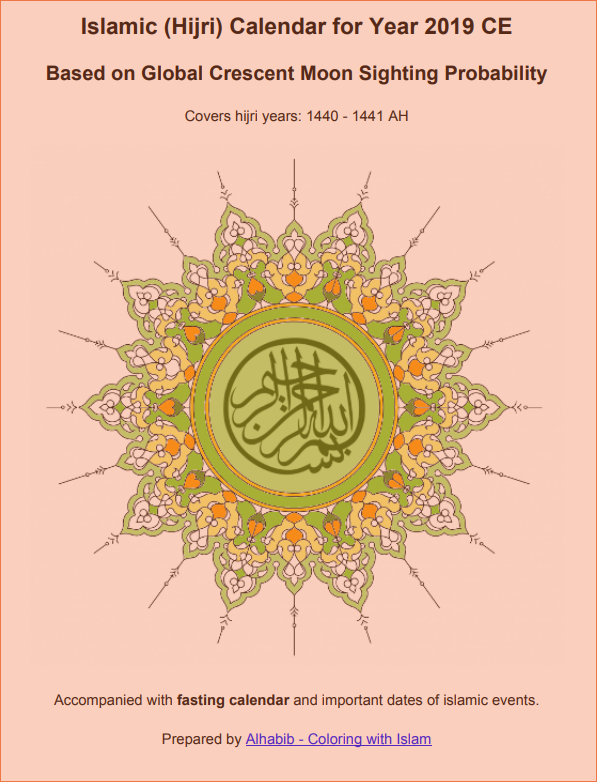 Habib bin Hilal is Editor in Chief of this blog and manager of the website: Alhabib - Coloring with Islam.